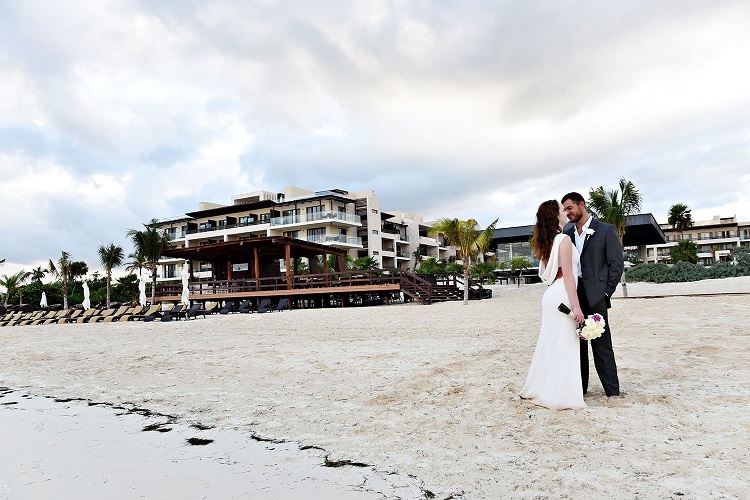 Whether you’re planning a family-friendly destination wedding or an adults-only romantic getaway, Royalton Riviera Cancun Resort & Spa in Cancun caters to your every need! 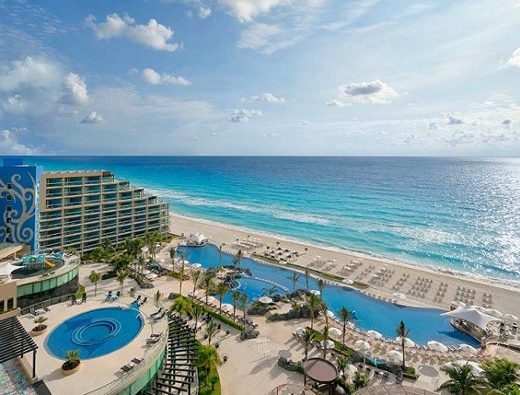 This modern all-inclusive resort is a short 15-minute drive from the Cancun International Airport, making it super easy to get to and from the comfort of your home. Paradise is only a flight away, so read on to discover your next perfect tropical escape! 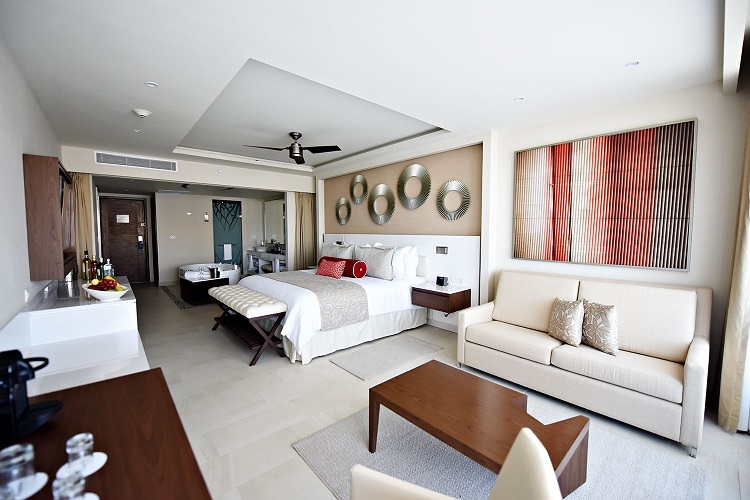 All of the luxurious rooms and suites at Royalton Riviera Cancun offer cloud-like DreamBeds, whirlpool tubs, and rain showers. You’ll find a stocked mini-bar in your room, as well as 24-hour room service! 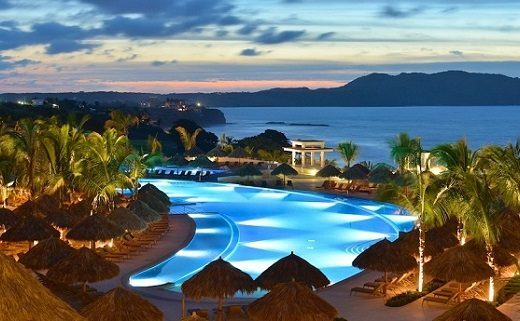 Look out into the Mexican shoreline from your balcony or terrace at the end of the day. There’s nothing like it! Feeling like splurging on your accommodations? 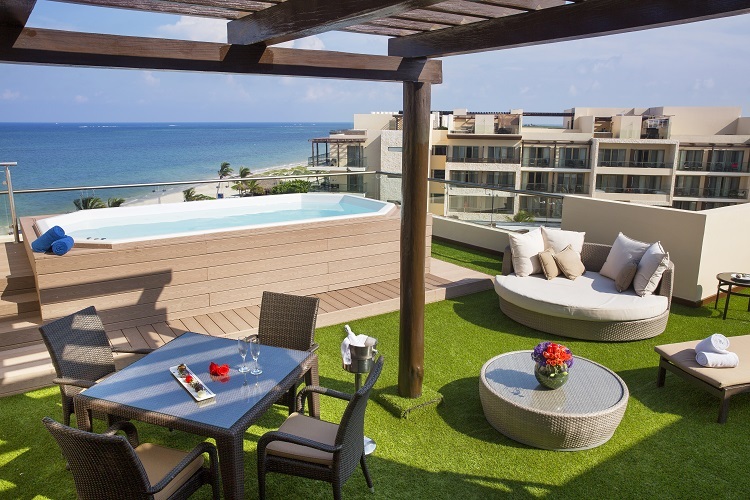 The Diamond Club suites include swim-out pools or a rooftop Jacuzzi that overlooks the ocean! Bonus – you’ve got an assigned butler and an exclusive beach area with dedicated bar and waiter service. What could be better than that? No trip to paradise is complete without plenty of pampering! 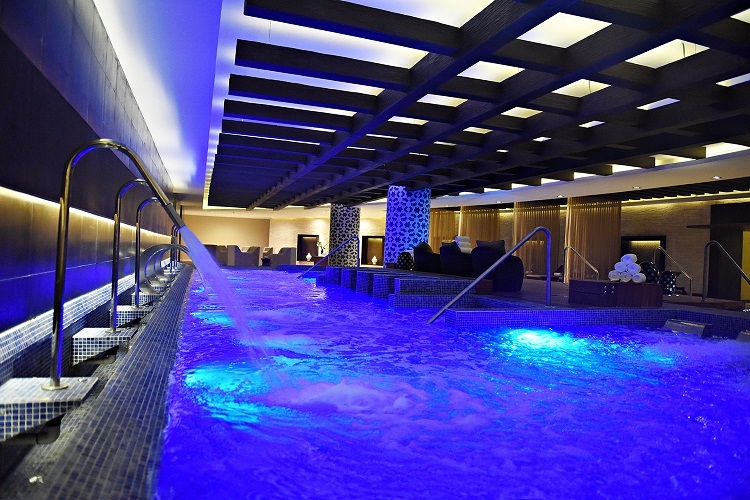 The Royal Spa offers a rejuvenating hydrotherapy circuit and an extensive menu of massage, body, and facial treatments. For the fitness buffs, a very modern and spacious fitness center is on-site that comes with a wide variety of classes including Zumba, yoga, and water aerobics. However you get your zen, don’t miss the 100-minute “time to connect” spa treatment. This includes a hydrotherapy session, followed by a body scrub, wrap, facial, and therapeutic massage. If you’ve got your girls along for the festivities, book the spa’s bridal suite and replenish yourselves with mimosas, fruits and cheeses, and canapés. We’re swooning already! 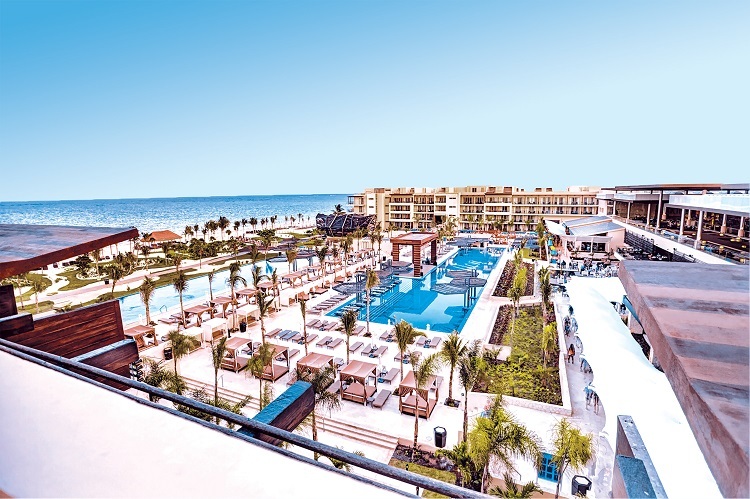 Along with the gorgeous Caribbean waters that lap the shores of the Yucatán Peninsula beaches, the Royalton Riviera Cancun Resort & Spa boasts a massive swimming pool complex. 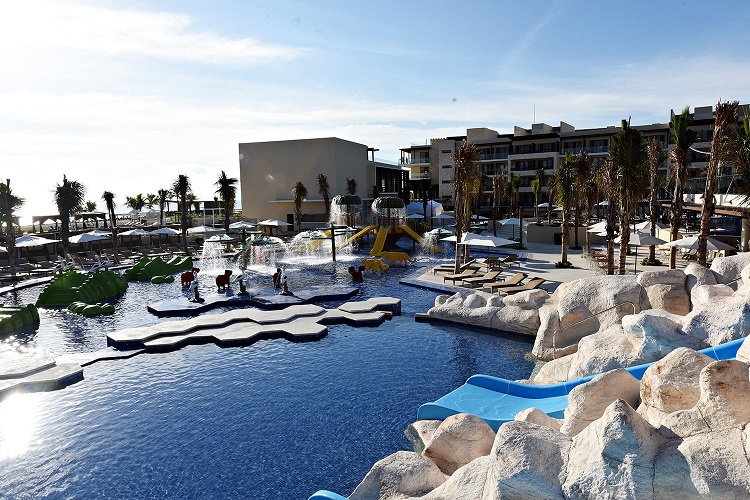 In addition to 11 pools in total (some with ocean views and swim-up bars), kids will be so excited over the resort’s splash park! Splash Safari provides thrilling water slides shaped like colorful hippos, crocodiles, and giraffes. As for an adult playground, the XS Disco Bar offers an unforgettable dance club experience for nightclub lovers! Dance the night away to classic tunes with your loved one and friends alike. There’s fun to be had for everyone! 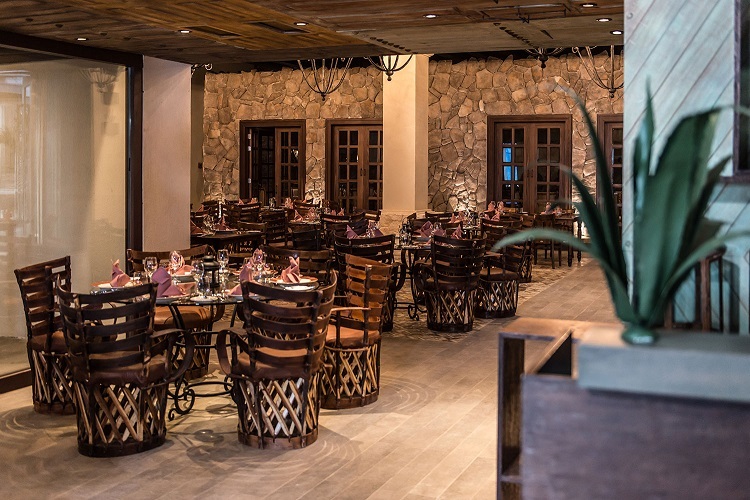 Royalton Riviera Cancun offers unlimited reservation-free dining at nine specialty restaurants! Whatever your craving may be, this resort is sure to deliver. A steak house, a seafood grill, and Italian, Caribbean, and Tex-Mex restaurants are all waiting for you to try out their cuisine. Want a different experience? 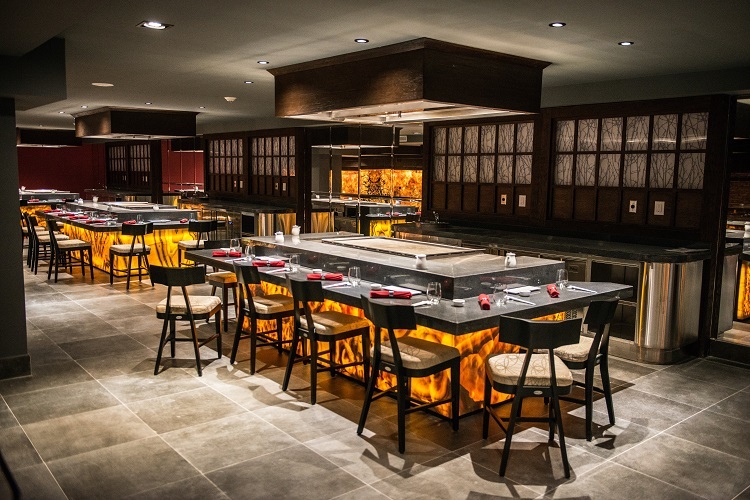 Try Zen’s authentic teppanyaki! Who could say no to hibatchi and fresh sushi dinner? A favorite among guests is the Mediterranean cuisine at OPA! For a quick bite, there is also an international buffet that is available at any time. Twelve bars cater to your every libation craving. Three of these are adults-only, and six are swim-up bars (so bring your bathing suits). With five beach bars, a disco bar, and a gelato and ice cream parlor, you’re sure to stay well hydrated and satisfied! Choose one of the Royalton Luxury Resorts’ specialty wedding packages for up to 20 guests! A big bash awaits full of your friends and family await at Royalton Riviera Cancun Resort & Spa. If you want something more intimate, exchange beachfront vows with the “Just the Two of Us” wedding package. This is designed for the bride and groom who prefer a very private elopement. Whatever package you choose, be sure to book a private beach dinner for two. Your night will be filled with delicious food and your own personal butler! A complimentary violinist, pianist or saxophonist will serenade your night away as you gaze into your loved ones eyes underneath the stars. 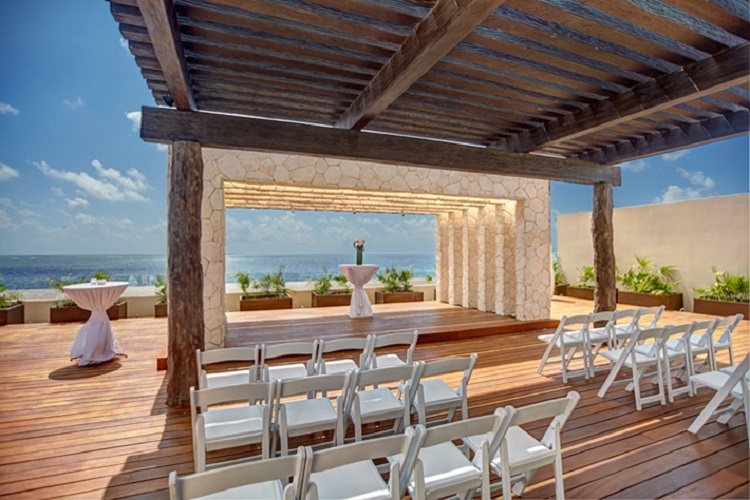 We can’t think of a better way to end your destination wedding in Mexico! For more destination wedding inspiration and information, be sure to browse through our website or Pinterest!